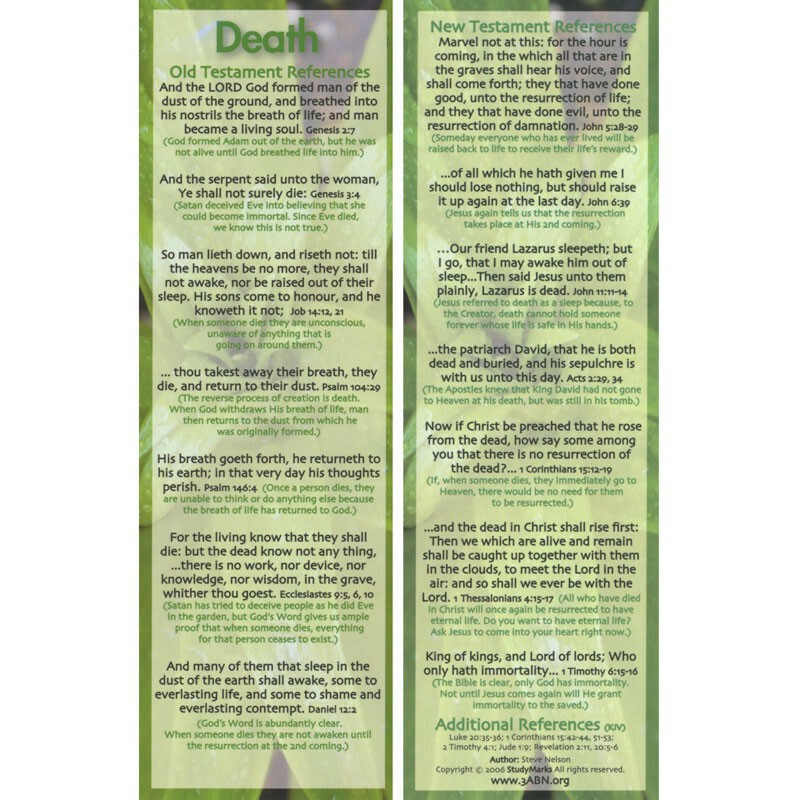 Here's a great way to share Bible truths with family, friends or anyone! 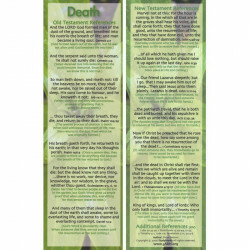 This Bible Study Mark contains Scripture verses that outline Death in a simple way. 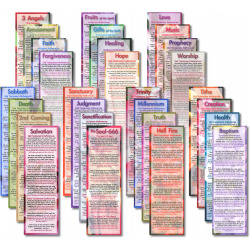 Keep a few in your purse, pocket or Bible and watch for God's divine appointments! Each pack contains 25 Study Marks on Death.